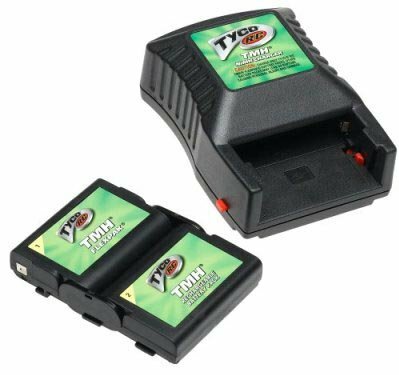 TYCO - TMH Flex Pack Battery & Charger Combo Pack. This will work with all Tyco R/C TMH Vehicles that requires the TMH size batteries. Ultimate R/C power. Rechargeable up to 1000 times. Faster speeds-up to twice the running time. This is still sealed NEW in the original package, Never Opened. Out of production and hard to find. Money Orders / Cashier's Check or PAYPAL. Most items are shipped thru U.S. Postal Service with a tracking number. Any bulky or heavy items will be shipped via ground service. I do combine shipping when I can.